All Boys and girls ages 9 to 14 are invited to participate in the local level competition for the 2018 Knights of Columbus Soccer Challenge. This competition will be held Saturday, September 22nd at 9:00 a.m. at the Sacred Heart School field. 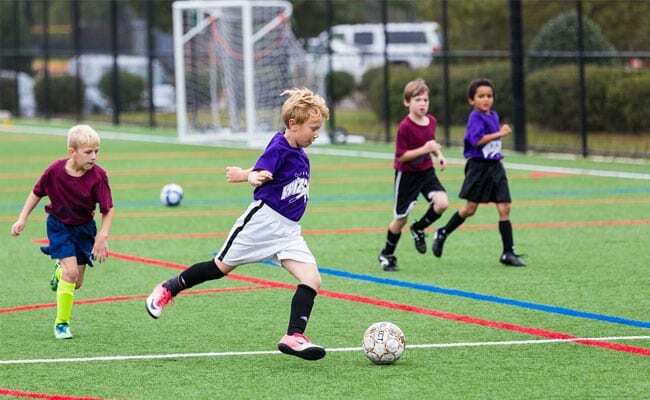 The Knights of Columbus Soccer Challenge is sponsored annually, with winners progressing through local (council), district, and state champions. International champions are announced by the K of C international headquarters in New Haven, CT, based on scores from the state-level competitions. All boys and girls 9 to 14 years old are eligible to participate and will compete in their respective age divisions. All contestants on the local (council) level will be recognized for their participation in the event. Participants are required to furnish proof of age and written parental consent. Entry forms are available in the Sacred Heart School office, Morningstar School office, Sunday (Faith Formation) Religious Education. For additional information contact: Jim Stelbasky at (813)390-3649 or email sstelbasky@tampabay.rr.com. Knights of Columbus is an international Catholic family fraternal service organization with 1.8 million members. Last year, Knights donated 70 million volunteer hours and $170 million to charitable and benevolent causes, sponsoring projects to benefit their Church, communities, councils, Culture of Life, families and youth.